The Karcher B 40 W Bp walk-behind floor scrubber drier is a floor cleaner which offers the option of brush head or disc brush. Equipped with forward and reverse movement, allowing for easy usage and takes advantage of a key operated safety feature which restricts users by special keys. “Torn Lips” Replacement lips required, service advised. “Not cleaning very well” Contact us for service. “Excess water on floor” Detergent valve stuck open, floor scrubber repair needed. 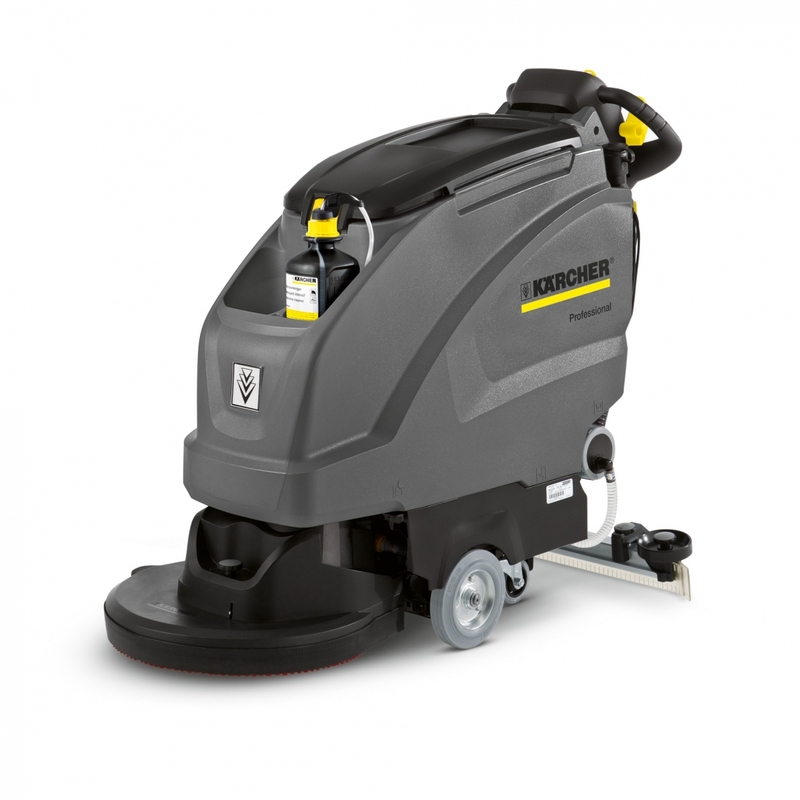 If you’re in Trowbridge and need a service or repair on your Karcher B 40 W Dose call, email or drop-in to our Bristol service and repair centre.